Stay up-to-date! Follow us on these social media channels. Student Legal Services is a non-profit law firm employing 2 full-time licensed Ohio attorneys and other legal professionals to provide confidential legal assistance and representation. The services are designed to assist students in resolving issues in areas otherwise difficult or impossible to obtain legal services at affordable prices while allowing them to continue their education at Wright State University. Our goal is to provide quality legal services at affordable prices, which allows the students to focus on their education. 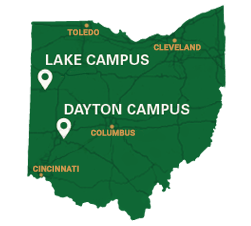 The attorneys and staff are dedicated to each one of the students at Wright State University. Stop by or contact our office for an appointment! Did you know that Student Legal Services offers a scholarship? Visit the RaiderConnect Continuing Student Scholarships page to learn more.